Scott* Rollwagen's mission is to make us smarter. As the firm’s research partner, he uses his encyclopedic knowledge of commercial and public law to guide lawyers strategically and tactically. 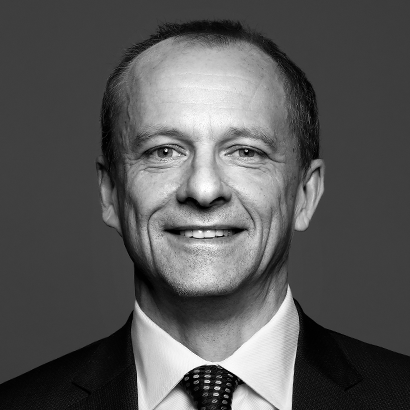 With his acumen and extensive experience, Scott gets§ the team through complex disputes at all levels of court, including the Supreme Court of Canada. He draws on his extensive corporate advisory experience and legal knowledge to contribute on a wide range of topics in prominent legal publications. Scott gets it‡ right for his colleagues and clients. His counsel is invaluable on high-profile, precedent-setting cases which reshape the commercial legal landscape. .
is the research partner at Lenczner Slaght. Scott provides our clients with strategic advice and analysis to solve complex legal problems quickly and effectively. He crafts creative solutions that are tailored specifically to each unique litigation objective. Prior to joining Lenczner Slaght, Scott spent 15 years with a major national law firm, honing his skills in legal analysis and argument. He has played an instrumental role in many high-profile and precedent-setting cases involving banking, corporate oppression, insolvency and restructuring, securities, pensions, derivatives, auditors' negligence and other complex commercial disputes – at all levels of court, including the Supreme Court of Canada. Scott also brings extensive corporate advisory experience to our firm. He has guided banking and insurance clients on the legal dimensions of providing cross-border financial services and has advised boards of directors during contested takeover bids. In addition, he has significant public law expertise, including in cases involving aboriginal issues. Drawing on his deep knowledge of the law, Scott has contributed articles on a wide range of topics to legal publications. Are courts of appeal becoming Bleak Houses? Scott Rollwagen's article Are courts of appeal becoming Bleak Houses? appeared in the October 16, 2017 issue of Law Times. Scott discusses the serious implications of Canadian appelate courts' steadily increasing willingness to defer to first intsance decision-makers. Is airline overbooking putting contract law up in the air? This article authored, by Scott Rollwagen, appeared in The Lawyer's Daily on May 30, 2017. This article discussed how recent media coverage of problems encountered by airline passengers on overbooked flights has made contract law unusually relevant.